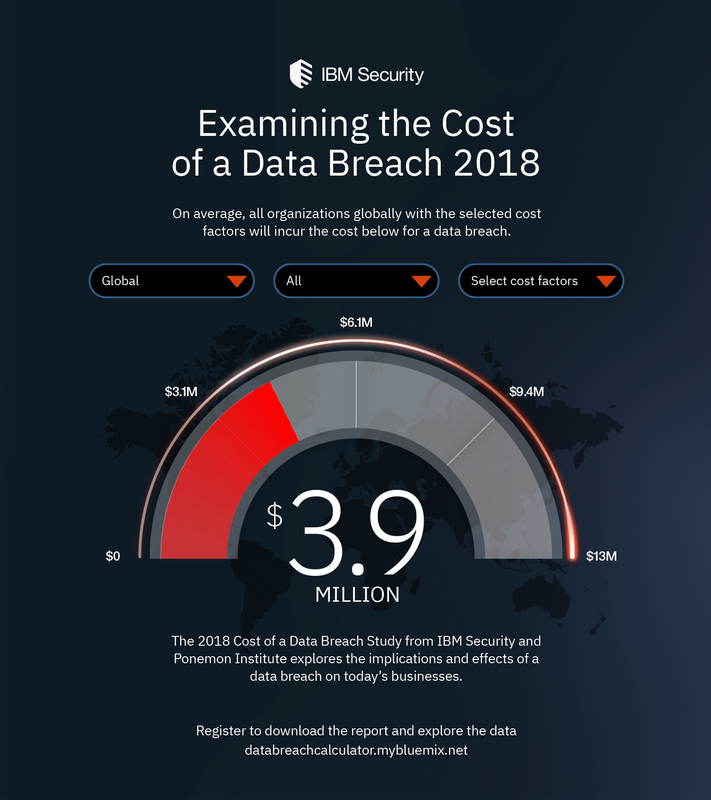 PARCA eNews – July 11, 2018 – In an annual study by the Ponemon Institute sponsored by IBM Security the average global cost of data breaches have nudged up in 2018 to $3.86 million compared to $3.62 million in 2017 but still lower than the nearly $4 million figure in 2016. But in the US the cost spiked 5 percent higher at an average of $7.91 million, or and average of about $225 per compromised record, with healthcare breaches costing an average of $408 per record nearly double the $206 per record for the financial services sector. The report found that the global average cost per compromised record was $148 and took organizations an average of 196 days to detect breaches. The most expensive breaches occurred in the US where notification requirements cost companies 5 times more than the global average.In addition the report says the bigger the breach the higher the costs, with breaches of 10,000 or fewer records costing an average of $2.2 million compared to breaches of 50,000 or more costing $6.9 million. The full report is available at the IBM Security site.